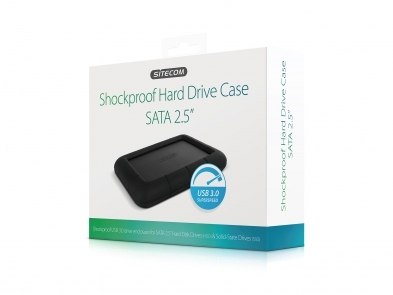 The MD-396 USB 3.0 Shockproof Hard Drive Case SATA 2.5” from Sitecom lets you read & write 2.5” SATA hard drives. It is compatible with Hard Disk Drives (HDD) and Solid-State Drives (SSD) and lets you extend the storage capacity of your Chromebook, Ultrabook, MacBook or regular notebook easily. The lightweight aluminum housing comes with a shockproof silicon bumper to protect your hard drive from tough falls and heavy falls. Take your movies, music or files with you anywhere you go and connect instantly. The MD-396 USB 3.0 Shockproof Hard Drive Case SATA 2.5” supports SuperSpeed USB 3.0 transfer rates of up 5 Gbps and lets you transfer and copy files 10 times faster than with Hi-Speed USB 2.0, ideal for transferring large files such as HD movies. 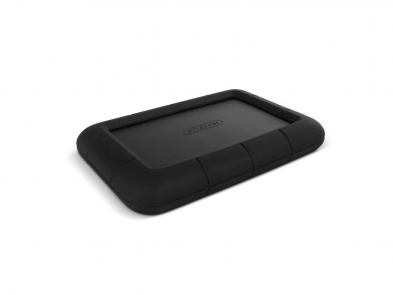 The MD-396 USB 3.0 Shockproof Hard Drive Case SATA 2.5” is backward compatible with USB 2.0 and USB 1.1 and is fully Plug & Play out of the box. Simply connect the drive enclosure with the included 60 cm USB 3.0 cable to a free USB 3.0 port of your computer, no drivers needed. The drive enclosure is compatible with all operating systems.